Mr Lube has a nice offer on now! 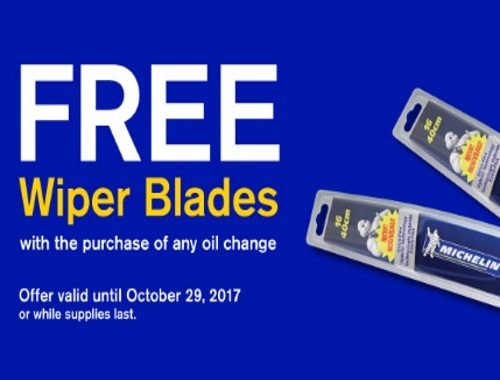 Get Free Wiper Blades with the purchase of any oil change! That's over a $30 value and includes installation. Offer is valid until October 29, 2017 or while supplies last.